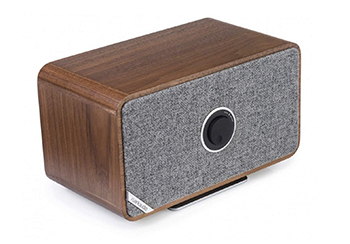 Founded in 1986, Ruark is a family-owned British company, passionate about sound and design. We sat down with founder and managing director Alan O’Rourke, to have a chat about the company’s familial beginnings, the importance of good design, and some of their latest innovations. What are your earliest memories of the company and what it means to you as a family? Alan O’Rourke: My father was a skilled cabinet maker and as a kid I can vividly remember going to work with him on Saturday morning, where I would use my imagination to build things from the offcuts of wood that were lying around. His involvement in cabinet production led my father to work with some of the early pioneers of the British audio industry and as a music lover himself, he was soon captivated by a trade and hobby that ultimately inspired both of us. Rather than TV, you would usually find music playing in our house and with the advent of stereo sound, designing and making our own speakers was something my dad and I enjoyed immensely. Friends and family liked what we were doing, so we worked on two initial designs called Sabre and Broadsword which we felt we could produce well commercially and we launched Ruark Acoustics as a partnership in 1985. As some will know, building a business is not easy, but the bond of family and the passion we share as a team has kept us motivated for over 30 years and these days our business is going from strength to strength. How does your product design work, from the initial idea to production? I love products where you can tell the brand, just from design cues. Our aim is to create design icons of the future, so clean lines and proportions allied to features such as our RotoDial control system I think make our products unique and instantly recognisable. We also work hard to ensure that each of our products fills a specific requirement and that the crossover between them is small. 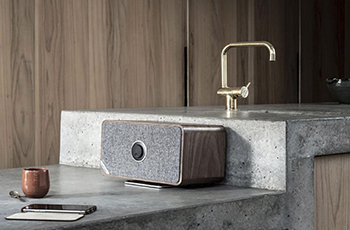 For instance R1 has been designed to be an ideal bedside/kitchen radio whereas R2, R4 and MR1 etc have been designed to fulfil different purposes in people’s homes. Product design, like fashion is constantly evolving, but we do believe that quality combined with good design can become timeless. With the aid of 3D modelling we are able to visualise and fine tune the aesthetics of our models before moving on to prototyping. From concept to production typically takes 18 months with much of this time spent fine tuning our electronics, software and most importantly sound. Where did the inspiration for your latest addition, MRx, come from? So-called Smart speakers are a growing sector of the audio market, but in our opinion the majority available are lacking in design inspiration! Most are just boxes of various shapes manufactured from plastic, which is then covered in a nondescript fabric. Apart from the brand name-tag there is usually little to distinguish one from another! We wanted to produce a product that made a statement, but also it had to have a design that connected it with other products from our range. We also wanted a product that offered flexibility in positioning and use, so as you can see with the finished MRx, it can be used as either a single unit or in multiples as part of a multi-room system and also as a wireless stereo pair. For position the supplied alloy stand allows MRx to be used either horizontally or vertically and threaded inserts on the rear mean MRx can also be wall mounted if desired. With its combination of slick materials, hand finished cabinet and contemporary fabric grille, with MRx we think we’ve crafted something different and rather special. 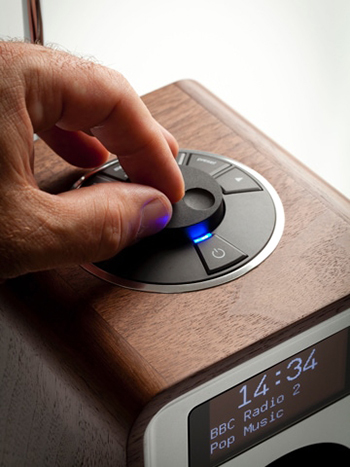 What sets MRx apart from the wealth of home audio speaker systems out there? As I said in the previous question, we understand how important aesthetic design has become to discerning customers and MRx exemplifies this. We like to think that our customers will spend hours listening to our products, but when they’re not being used they need to enhance rather than detract from the environment they’re in. Finally, we are justly proud as to how good MRx sounds. With some advanced sound processing and its stereo speaker configuration, MRx produces a quality and breadth of sound that belies its compact dimensions. What made you decide MRx was to be a connected product? Would you say being able to multiroom is important in today’s technological advancement? Models such as our R1, R4 and MR1 we deliberately designed these not to be Wi-Fi connected as ease of use was our priority and with Bluetooth connectivity customers can still stream wi-fi services if required, but for a product like MRx with its app set-up and control, full Wi-Fi connectivity was the only option. Also we wanted a product that could be wirelessly linked to create an easy to manage multi-room system. MRx allow up to five units to be wirelessly linked together and fully controlled though our Ruark LINK app. MRx is also compatible with our R2 and flagship R7 models and for these models it makes an ideal wireless extension speaker. 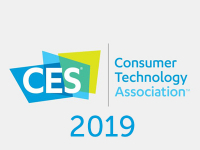 We’re still not sure that domestic customers need ‘multiroom’ per se, but the ability for devices to be wirelessly linked together when required is a nice feature which we will build on further in the future. How have you combined your experience from making hi-fi speakers to your product line today? 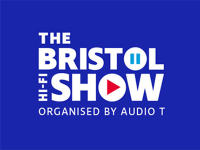 We are hi-fi nuts at heart, so sound quality is still our top priority and the skills and knowledge we’ve acquired through designing hi-fi speakers have carried through to the small audio products we produce today. What are the biggest advancements you have seen in the way people are experiencing sound now in their homes compare to 30 years ago? I’m still not sure if it’s an advancement or curse, but with a good internet connection you now have instant access to millions of music tracks, both new and old through streaming services such as Spotify and Apple Music. Many see this as the demise of physical media such as CD, but as we are now seeing a resurgence in vinyl sales I still think that people will ultimately yearn to own the music they really like. How have you adapted the design of your products to the changing ways that people are listening to music? At heart, I’m still an audiophile seeking perfect sound, but from all our years making high fidelity speakers it frustrated me as to how few of my family and friends shared my same passion. They would all comment on how wonderful the sound was, but very few would consider spending a large sum of money or want a system and speakers that dominated their living space! In the products we design today, sound quality is still the key factor, but with their compact nature and beautiful aesthetics our products appeal to a far wider audience from music lovers through to the design conscious. And finally, what have you learned along the way? Never rest on your laurels! With our products we have always seen evolution rather than revolution as the way forward, so every day we are always looking at ways in which we can refine and improve our products and service. Certainly the way the market is heading now means everyone needs to be more focused than ever, but seeing a product come from a concept in our heads to a fully functioning model and being in control of our own destiny is what drives us on and we love it….